"Cats are magical.....the more you pet them the longer you both live." I am here to share the birthday card I made for my dear hubby who has a December birthday. You all do know that we are cat people at our house, right? So, naturally, I had to make a cat card for my vet hubby. I just love this snuggly-looking kitty that is all "dimed up", as we say. (We have our own cat vocabulary. "Dimed up" means curled up in a tight little ball no larger than a dime....figuratively.) I cut a piece of variegated flannel for the kitty to nap on. Here's a closer look at the little kitty nestled into the soft flannel. I used some thrift store mesh ribbon layered over a red ribbon. I topped it off with a button from my stash. Cute, huh? I hope it's not too cutesy for my hubby. Thanks for stopping by my blog and leaving your sweet comments. They mean more to me than I can say!!! Ding Ding Ding!!!!! It's New Follower Introduction Time!!! I have a couple of new followers to introduce. This makes 74 on Google Friend Connect!! 1. 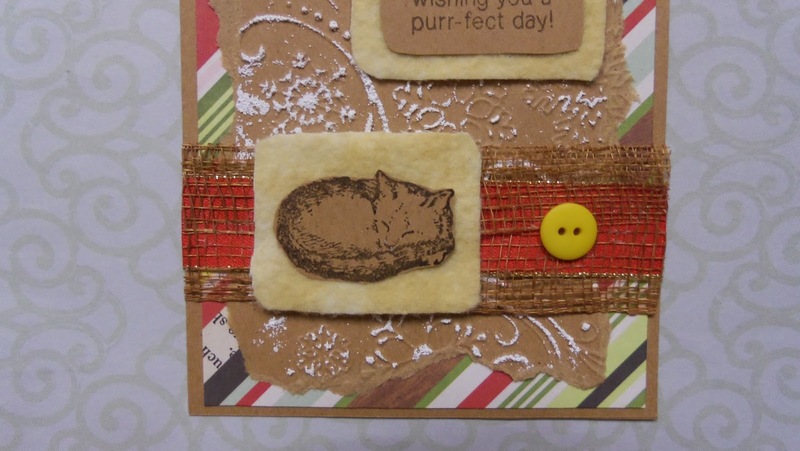 Patry Ro of Patsy's Scrapbooking has some wonderful cards she has created with the coffee theme....soooo creative!!! Her other work is equally as enjoyable and inspiring. Thanks so much for becoming a follower on my blog. This ginormous smile is all yours!!! 2. Anita of Cards & Coffee (isn't that the perfect combination?!) makes some of the cutest cards around. I first visited her blog when she participated in the Coffee Lovers Hop (of course!) and just enjoy browsing around looking at the bright and happy things she makes. You will, too! Thank you, Anita, for becoming a follower here. Your support means a ton to me!!!! Here's your ginormous new-follower smile!!! Again, thank you to each of my readers. 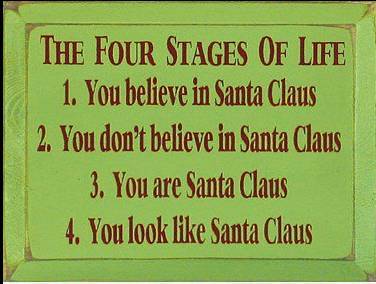 Have a lovely week and take to time to relax and enjoy the Christmas season. This is so fun. 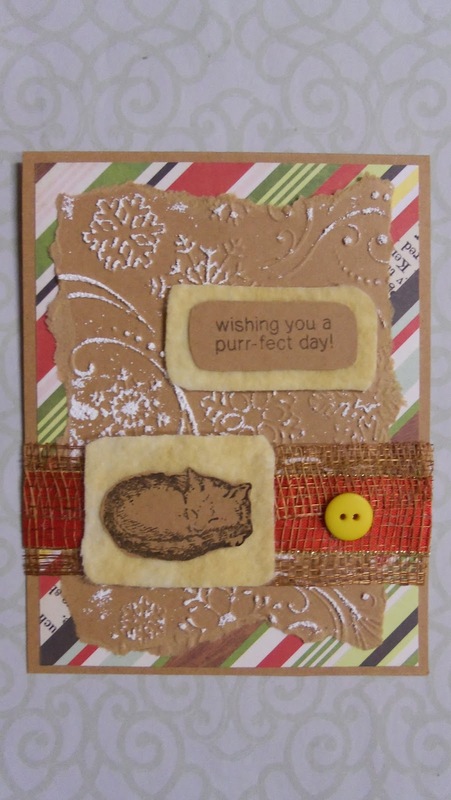 Loving the kitty and the white touches on the embossing. Thank you, Lis. Since I didn't hear back from whomever mods the Simple Salutation challenge, I will gladly enter this one in the Speedy Fox Rounded Corners challenge. Purrrrrr and double-Purrrrrrrr. That sleeping kitty on her snuggly flannel bed is making my eyes droop! Love all the contrasting textures with the embossing, the mesh, the ribbon and then the flannel. And no...not too cutesy at all in my opinion and if it is, then you can send it to me! What a beautiful card...Love that you incorporate Kraft a lot. We appreciate you blessing us with your project last week and would love to have you back this week for a two-week long challenge at Word Art Wednesday. Leaving you with God's Word from Romans 15:13 which says, "May the God of hope fill you with all joy and peace in believing, so that by the power of the Holy Spirit you may abound in hope." A Blessed Merry Christmas to you and your household. Thank you, Jo Ann, for your lovely and encouraging comment!! May your Christmas be blessed and full of joy! Thank you, Melissa!! Curled up kitties are just too sweet! Thanks so much for stopping by on your rounds!! I appreciate your visit and kind words. Hi, back atcha! :) Thanks for stopping in. I'm glad Lis invited me to join in the Rounded Corners challenge. Thank you so much, Melissa!!! I am purr-fectly delighted.